NGO Registration Services offered comprises services handled by experienced professionals who provide for technical & legal service support to NGO bodies. We are providing N. G. O. Society registration services in ahmedabad gujarat india. The public charitable trust is a potential form of not-for-profit entity in India. 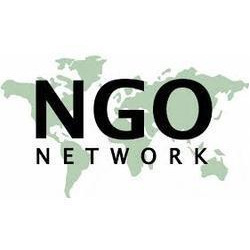 Being the most respected organization guided by experienced and knowledgeable professionals, we are the famous Service Provider of NGO Registration Services in India. By understanding the demands of our patrons in the best possible way, we are increasingly engrossed in offering NGO Registration Service to our clients. Delivered in tune with the standards defined by the industry, these services are enormously in demand. Due to their cost effectiveness, these provided services are hugely treasured. b) Compliance of any change of MOA and Rules & Regulations. c) Maintaining of Minutes Book & other Register and Records. d) Any approval, representation, liaison with Registrar of Societies.